© 2018 Lee Capital Asset Management LLC. All rights reserved. The views expressed represent the opinions of Lee Capital Asset Management LLC (“Lee Capital”) and are not intended as a forecast or guarantee of future results. Information contained herein is obtained from sources believed to be accurate and reliable. 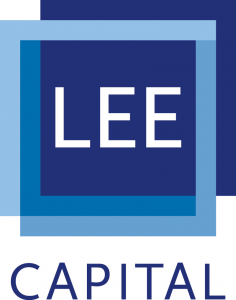 Lee Capital does not undertake to supplement, update or revise such information at a later date. This information should not be considered a solicitation or an offer to provide any Lee Capital service in any jurisdiction where it would be unlawful to do so under the laws of that jurisdiction. It should not be assumed that investments in any of the sectors or industries noted were or will prove profitable.